Dan Street was the sole Lewes Wanderer to compete in the National Trophy Cyclo-Cross Round 3 at Ardingly Showground on the bright, but breezy afternoon of Saturday 10th November. 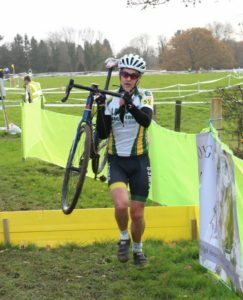 In a field of 104 men in their forties Dan struggled admirably with the technicalities of a course devised by the host club Crawley Wheelers featuring hurdles and steps on top of steep muddy banks and rolled across the line after five laps in 70th place a lap down on the winner. The following morning saw Round One of Lewes Wanderers’ annual Reg Porter Trophy – The Tourist Trail. 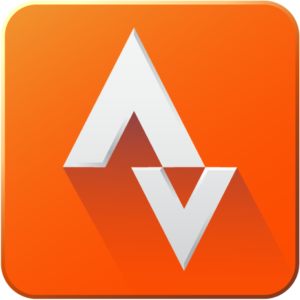 This three event competition is run by the club over the winter months in an effort to encourage people out onto their bikes during the winter months. Sadly only five riders accepted the challenge on what turned out to be a relatively mild morning with just the occasional scudding shower. This year’s test of a lumpy 30 mile ride with 18 cryptic questions based upon the public houses the competitors should pass provided they could follow the directions was set by Paul Gibbons. Fastest around the course was Paget Cohen, but at the expense of collecting the answers as he finished last with only 14 out of a possible 38 marks. Last year’s winner of both this discipline and the overall title Ian McGuckin was next to arrive at the cafe stop, but had suffered the misfortune of a puncture, taken a shortcut in order to make up time and so only accrued one more point than Paget. Striking the right balance between speed and accuracy was 2017 runner-up Rob Pelham who was next to finish and with a score of 26, three more than Dom Lowden and six more than James Geldart who rolled in together shortly afterwards. Rob will go into Round 2, the freewheeling on 20th January, which he won 12 months ago already well placed to regain the title he last won in 2016. Ten Lewes Wanderers took to the start line for the East Sussex Cycling Association Reliability Trial on Sunday 18th November. This year’s organising club Brighton Mitre had devised a typically tough course of just over 50 miles with a couple of checkpoints and plenty of hills along the way, including the little used Dewlands Lane into Rotherfield and the locally notorious Kidds Hill up onto the Ashdown Forest. Entrants could choose to try to complete this anti-clockwise loop in three, three-and-a-half or four hours depending on level of ability and confidence. The 159 strong total field were treated to a cold, but thankfully dry and sunny morning with Eastbourne Rovers successfully defending the ‘Rally Shield’ as 43 of their 46 starters making the time cut with the host club claiming runner-up spot with 29 of 42. 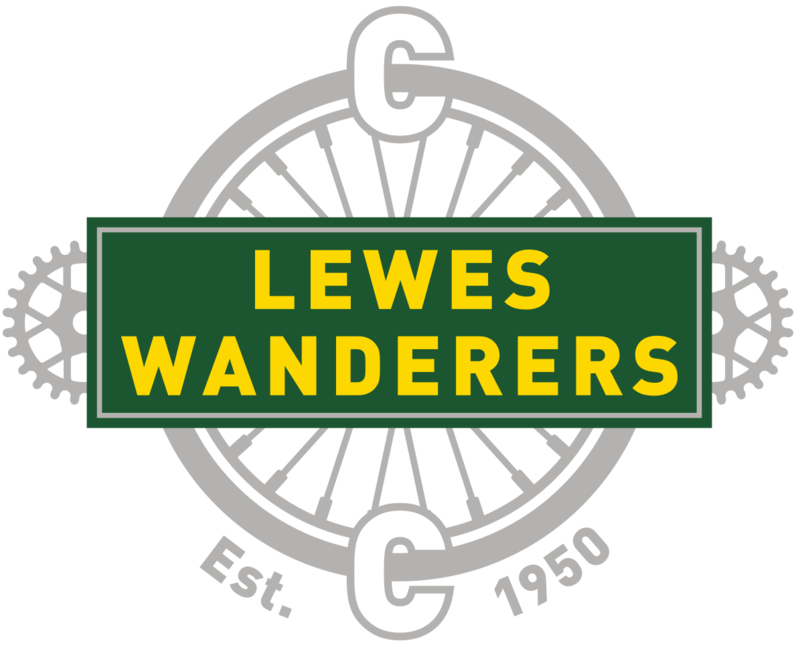 Lewes Wanderers came fourth, but at least all 10 riders proved reliable by reaching the final checkpoint when they said they would. Club Chairman Dom Lowden led by example in successfully finishing well within three hours. In the more highly subscribed intermediate category Peter Baker, Paget Cohen, Bob Evans, Sam Ramsey and David Wilkins at least started together even if they split up along the way, while Rob Pelham and Edward Tuckley started late, but more than made up time with strong riding. Stuart Anderson and Peter Fox were the club’s two successful representatives in the 4-hour category.